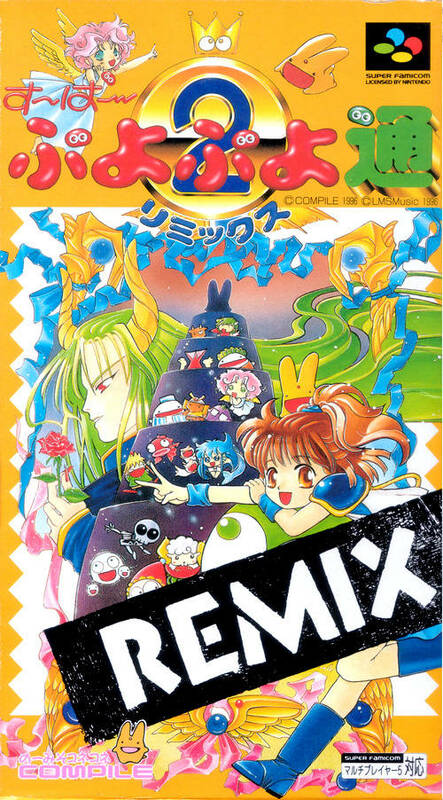 Super Puyo Puyo Tsuu Remix was the last Puyo Puyo game released on the SNES (March 8, 1996). And it’s also the best of the lot. They’re all great, but this one takes the cake. 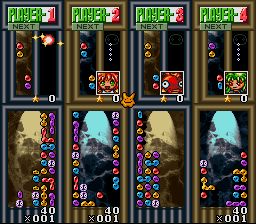 There are some minor tweaks made here that set it above Super Puyo Puyo Tsuu. If you only buy one game from this series on the SNES, be sure to make it this one. It’s the classic formula you know and love. Connect four or more like colors to clear them. Creating and setting up chain reactions is the name of the game, as clearing four at a time isn’t very effective. It’s tough but loads of fun. Send garbage blocks over to demoralize the competition. Nothing like nailing a 4 hit chain reaction to send over a crap load of garbage blocks! 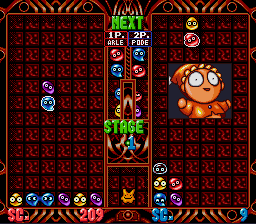 There’s a purity to Puyo Puyo that makes it timeless. Most puzzle games involve a certain amount of luck, but this game really relies on skill and premeditated combos. A highly skilled player almost always beats a significantly lesser skilled opponent. It does kind of kill the fun of competitive battles if the skill levels are too lopsided. On the bright side, there are options to even the playing field. 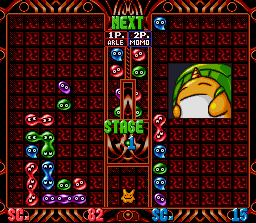 The previous game, Super Puyo Puyo Tsuu, introduced a 4 player mode. But it could only be played with four humans. 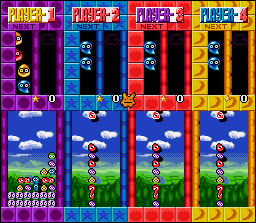 In this Remix edition, you have the option of setting player 3 and 4 to be computer opponents. That way if it’s just you and a friend and you wish to play the 4 player mode, you can. A small change but definitely a nice and noteworthy one. Be prepared to squint a little though unless you’re playing a huge TV. 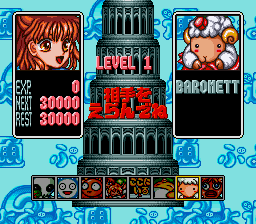 The best Puyo Puyo game on the SNES and one of the best puzzle games on the entire system. It blows Kirby’s Avalanche out of the water because it has way more options, better control (you can flip pieces even when there’s no room — you couldn’t do this in Kirby’s Avalanche and that was kind of annoying) and of course the 4 player mode. 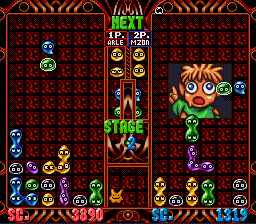 If you love the SNES and puzzle games, then Super Puyo Puyo Tsuu Remix is a must-have.